Onyx-2 is directly across the street from our Onyx 1 home which is great for multiple families utilizing both homes! It is a nice cul-de-sac & very close to the London Bridge, Lake & Channel. 4 bedroom/2 bath home (sleeps 10 to 12 in beds) There are also 2 trifold mattress pads ( 75x31x4") that can be used in the living room carpet area, or any bedroom. This home is 1,750 sqft with a newly remodeled hall bath. 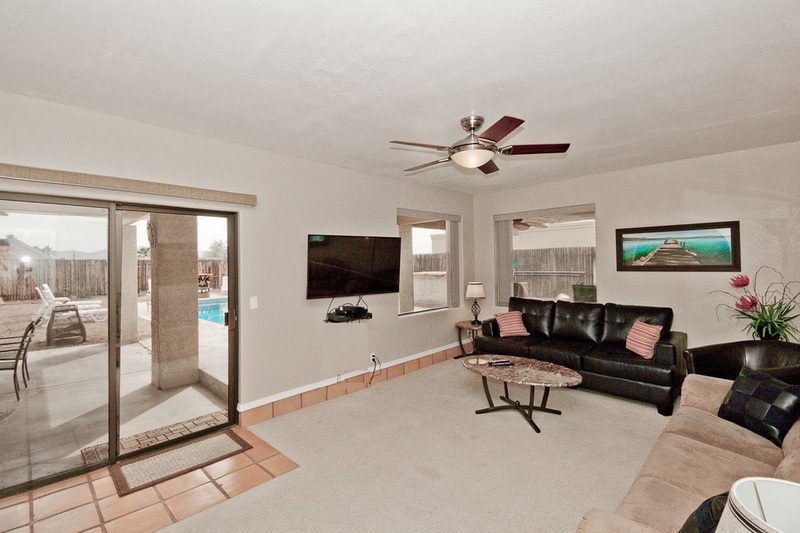 Onyx 2 has a huge gas heated pool, 2 large covered patios w/ ceiling fans & misters, & a large built in BBQ. There is a Ping Pong table in the garage and "Horse Shoes" along the back yard. 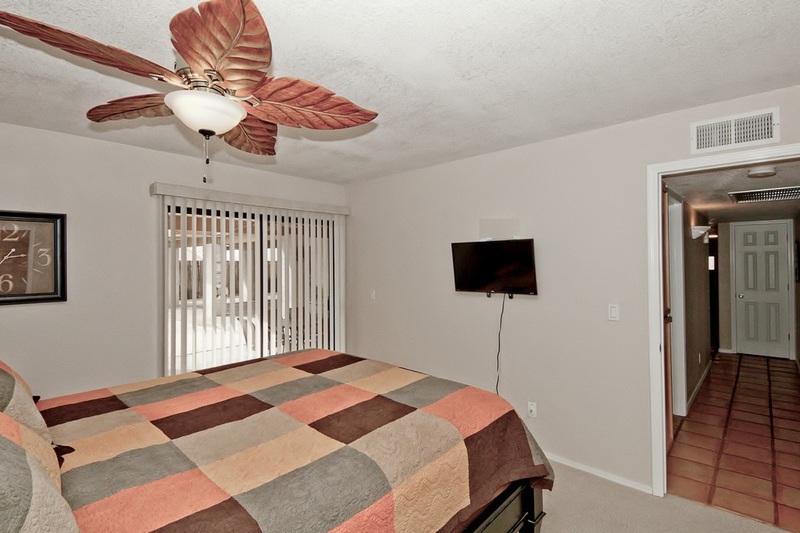 Master (King Bed) & walk-in closet, Flat Screen TV, Antenna TV for local channels, Roku TV. Has a slider that opens to the covered patio & overlooks the beautiful sparkling pool. 2 Queen Bed rooms - one has a slider that opens to the covered patio & overlooks the pool. Large Bunk room with 2 Bunk Beds ~ Full/Full & Twin/Twin. Large open living room & couch w reclining seat. 50 inch flat screen, TV Antenna for local channels, Blue Ray & Roku. Internet/WIFI. Large windows that look out to the pool & covered patio. There is also a slider that opens to the beautiful pool area. Nice open kitchen w large counter & 3 bar stools. Dining area w table that seats 6. Slider that opens to covered patio & pool area. All areas have Satillo Tiles. Huge back yard with 2 covered patio areas. 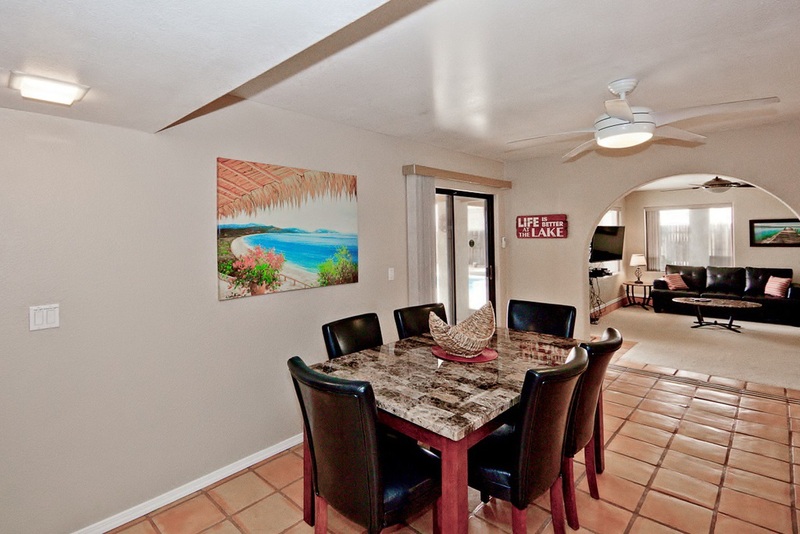 Outdoor ceiling fans, misters, oversized built in gas bbq under covered patio. Large gas heated pool!! Great back yard with Horse Shoes game, privacy fencing, & fun Carved Tiki's. Landscaped front yard with large driveway & large (rock) RV parking area to the right of the driveway. 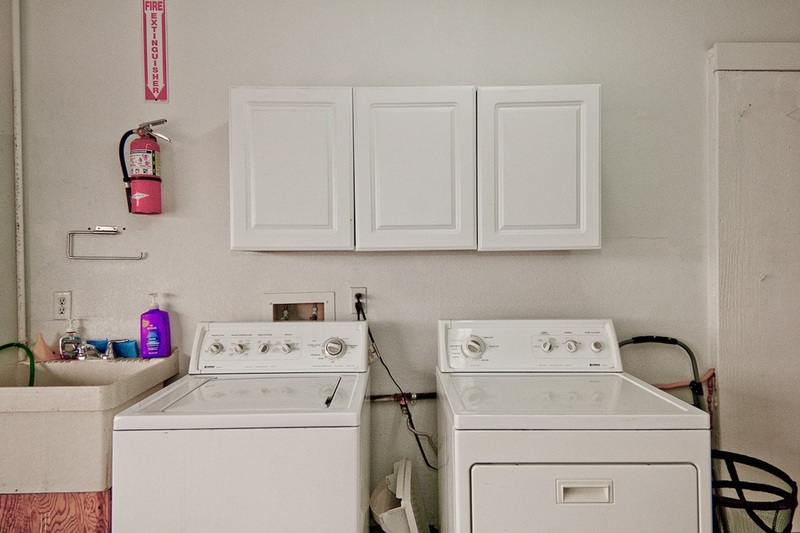 Oversized Garage has washer/dryer, utility sink, RO & Water Softner, & ample parking for car or boat. There is also a Ping-Pong table in the garage for fun after your day on the Lake. This home has been newly remodeled & is in the much sought out neighborhood less than a mile to the Lake, Channel ,& London Bridge. Additionally, Havasu-Rentals.com also owns the Home directly across the street of this cul-de-sac, which makes a great vacation getaway for 2 large groups!